Now that it’s finally getting warmer outside, we are gearing up to spending more time outside and more time in the water. The girls are PUMPED about it! Lately I’ve been learning more and more about water safety and the dangers water poses to small children. It’s something that isn’t often talked about. And I get it….thinking about drowning is scary. And no one thinks it will happen to their child. 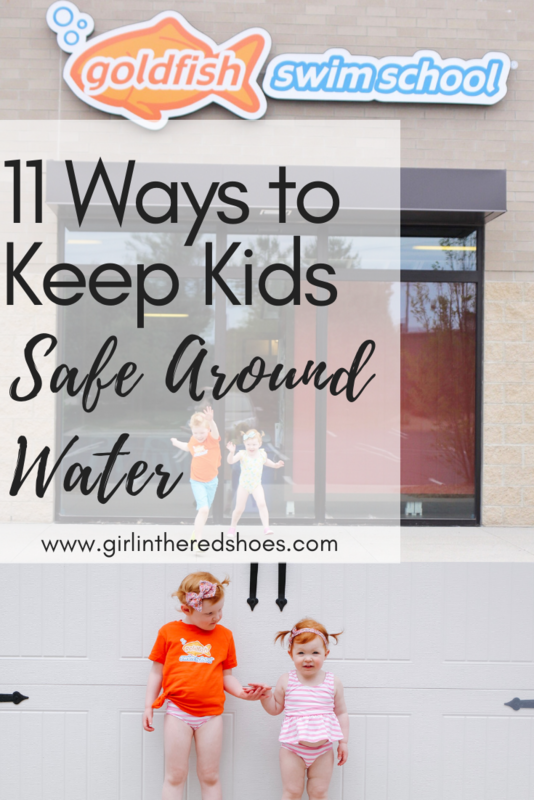 So today I’m sharing some things I’ve learned about drowning as well as ways you can keep your child safe in the water. According to the American Academy of Pediatrics, drowning is the single leading cause of injury-related death among children ages 1 to 4. Did you know that? Isn’t that terrifying? There has been so much in the news lately about children drowning, which is heartbreaking. But it has led to more discussion, which hopefully will lead to action. Two moms who lost their children to drowning, Nichole Hughs and Morgan Miller, brought me to tears recently while watching the Today Show. You can watch their interview here. Enroll your child in swimming lessons. NOW. 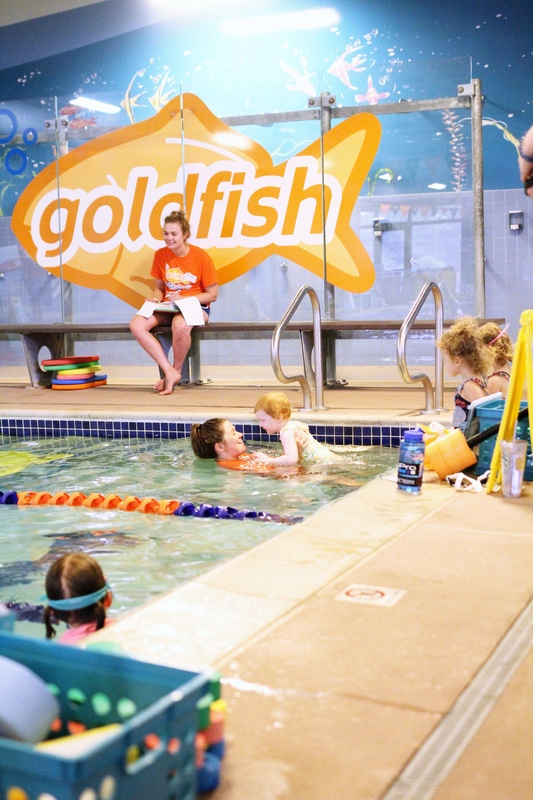 My kids take lessons at Goldfish Swim School. 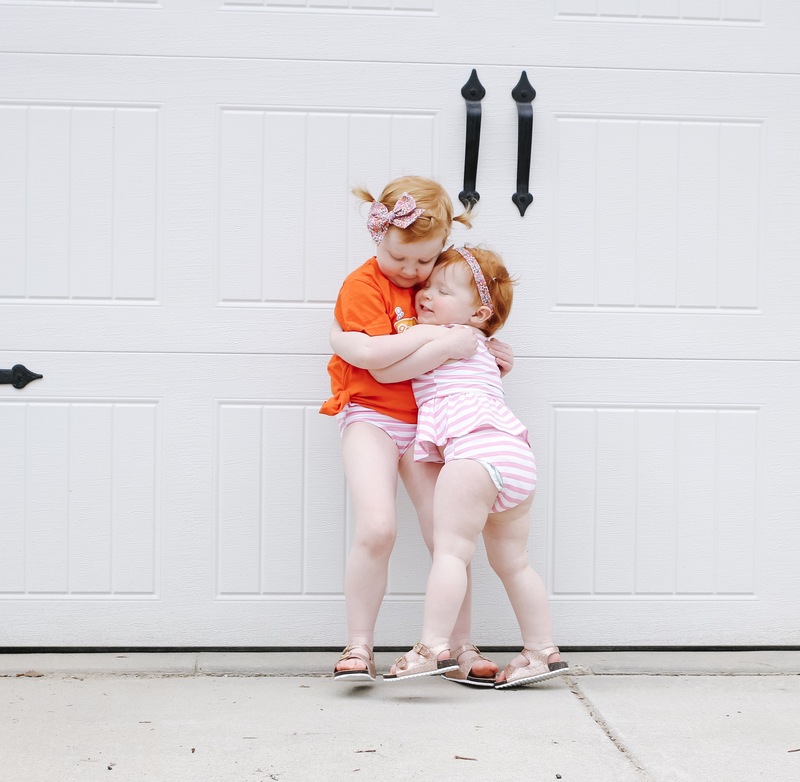 Floaties and life jackets can keep your child safe while they swim, but they can be dangerous because they give them a false sense of security in the water. Teach your children to stay away from the water unless an adult is holding their hand or has said it is okay to go in. Keep pools covered and protected with a fence with a lock. Keep toys out of the pool when not in use. 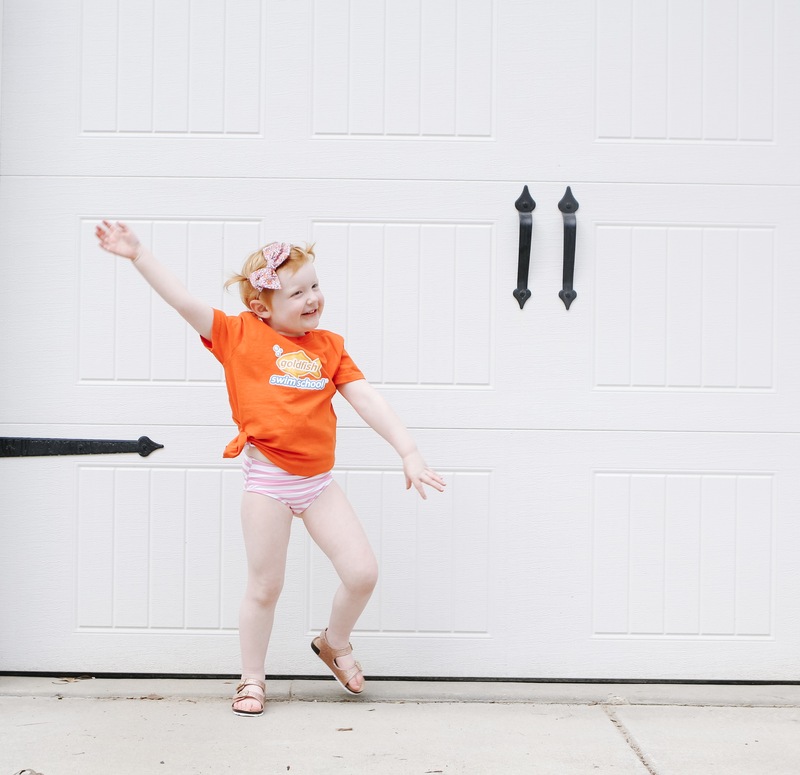 When visiting a location with a pool or access to water, secure doors so that kids cannot accidentally wander outside. Never leave children alone or in the care of another child while in or near bathtubs, pools, spas, or other open water. Do not leave young children alone in the bathroom. A toilet lock, like this one, can prevent a toddler from drowning in the toilet water. More than ever, I’ve realized the importance of swimming lessons for all three of our children. 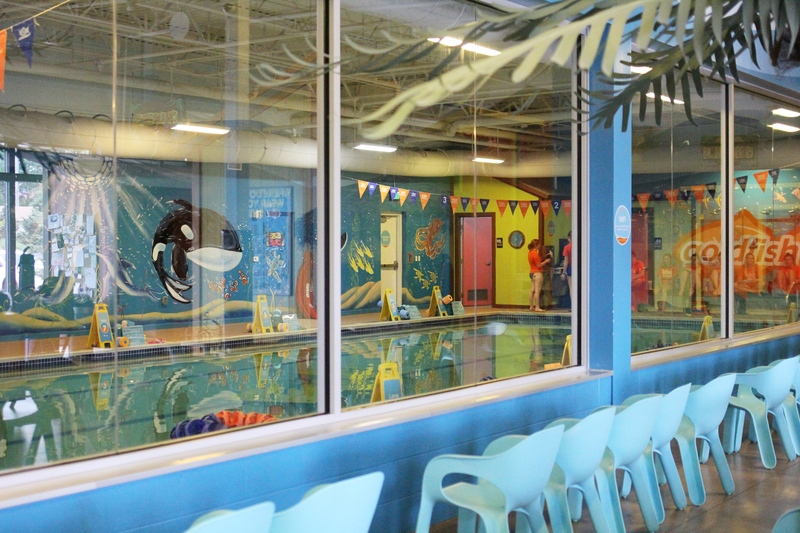 If you are local to Grand Rapids, Michigan, I HIGHLY recommend Goldfish Swim School. My kids have been taking lessons there for years now and it has helped ease my fears when it comes to swimming. · Sea Otter Floats (Back Floats) and Rollovers: This skill allows the swimmer to catch a breath and take a break while swimming. A back float does not require a large amount of energy to perform and keeps the swimmer’s body in an ideal swimming position. · Crab Walks: Swimmers hold onto the edge of the pool and move themselves in a desired direction. This skill teaches the swimmer how to keep their head above the water and move along the wall safely. 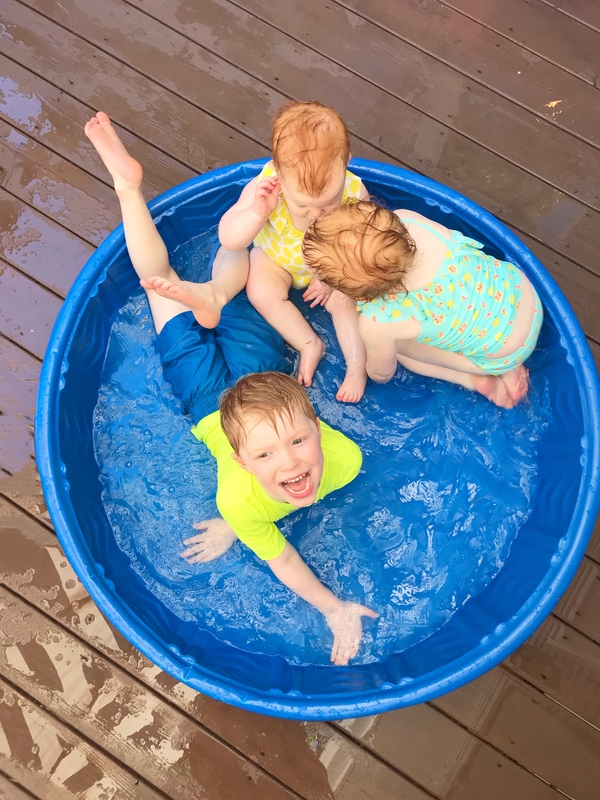 · Climbing out of the pool “Fin, Fin, Belly, Flipper”: Swimmers learn how to pull themselves out of the pool from in the water using Elbow, Elbow, Tummy, and then a Knee. This technique involves pulling their belly onto the pool deck before pushing up onto their hands and limits the risk of slipping back into the pool or slipping and hurting themselves. · Wall Safety Skills: Swimmers learn to turn back around and grab onto the wall that they fell off. Despite having a wall directly behind them, most swimmers first instinct is to swim towards what they see (often to opposite end of the pool). This skill creates the habit of turning around and grabbing what is closest to them. 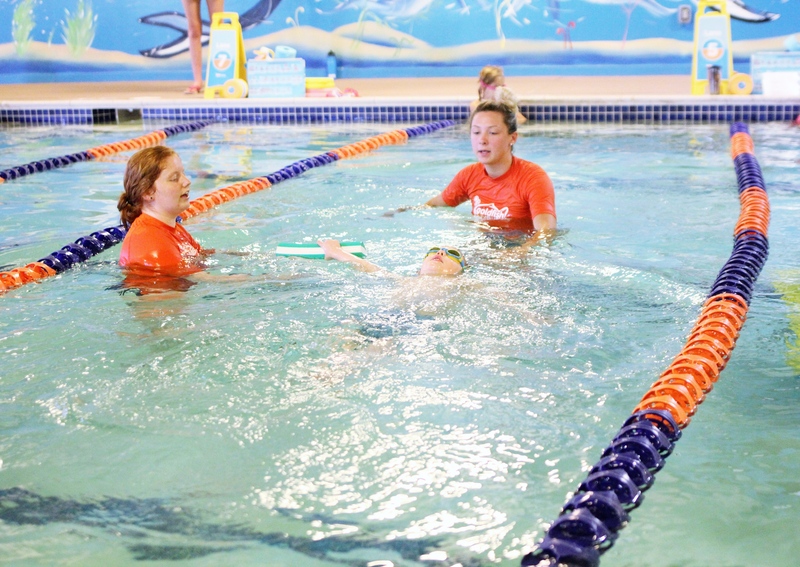 · Rollover Safety Skills: After a swimmer falls into the pool they rollover and float on their back. This allows the swimmer to breathe and call out for help without having to struggle to keep their head above water. · Treading Water: Swimmers kick their legs and move their arms under the water in order to keep their head above water. 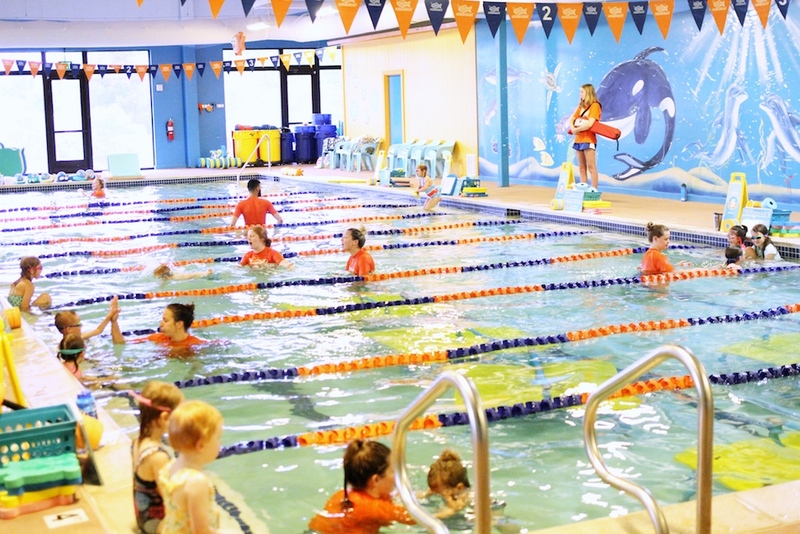 At Goldfish Swim School they have a “Water Safety Week” that occurs every three months where they place extra emphasis on safety skills and educate swimmers about how to stay safer around the water. · What to do if they see someone who needs help: Throw, Don’t Go! · Important rules such as never swimming alone, always walk around a pool, never pull on people in the water, etc. Water is everywhere and it is so important to be vigilant. Both Nicole Hughes and Morgan Miller lost their children to drowning while they were NOT even swimming. Both moms turned their backs for one second, and their kids wandered off and fell in to a pool. In a different interview I watched recently Nichole Hughes described the water as a lion waiting to devour your children. She said that if all parents viewed the water this way, they would be more vigilant about water safety. That really stuck with me because I feel like whenever we are swimming we are so careful about watching our kids. But what about if we aren’t swimming? What if one of the girls opens the slider at my mom’s lake house and and wanders off and falls in to the lake? Those are the situations I need to be aware of constantly. For more of the AAP’s recommendations to prevent drowning, visit their website here. I keep hearings such great things about this school. I need to look into it for my girls! 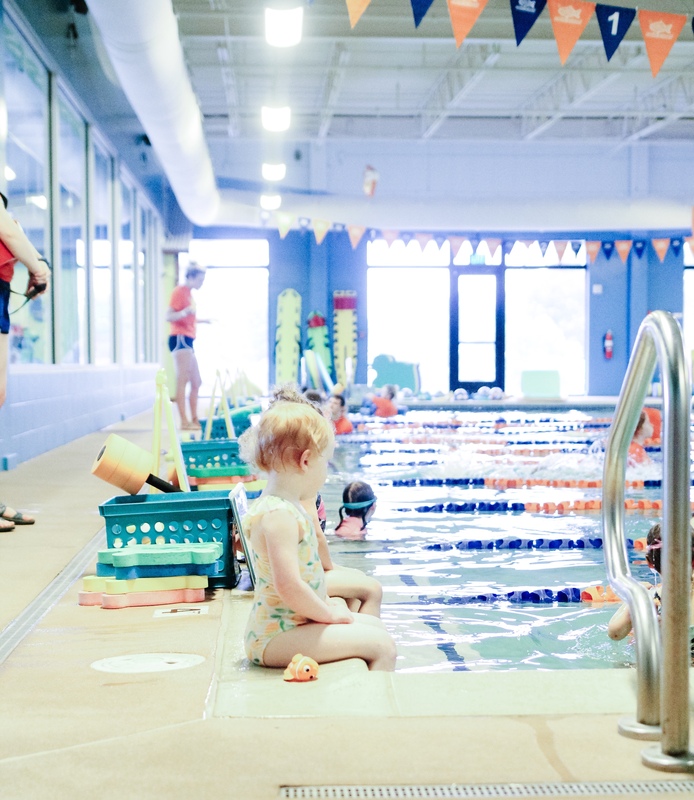 Goldfish Swim School is great! Oh my goodness, I had no idea! I need to get my kids in lessons asap. I’ve heard such good things about Goldfish! I’ve heard so many amazing things about Goldfish lessons! My son needs lessons this summer. oh mama I love these tips! I didn’t know y’all went to Goldfish!? we love it there and have been going for a little over a year!